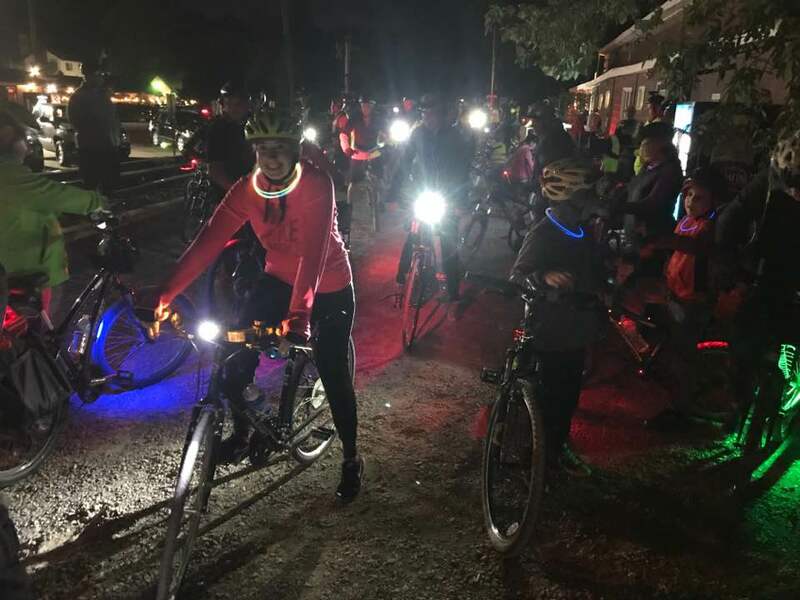 Join Century Cycles as we kick off our 24th season of Night Rides on the Towpath Trail! Our Night Rides are fun, family-friendly rides on the car-free Ohio & Erie Canal Towpath Trail, which is flat and suitable for all ages and skill levels. You must have your own bicycle, helmet, and headlight. No pre-registration is necessary, but you must sign a waiver prior to the start. We start riding at 8:00pm sharp. PLEASE NOTE: Due to current construction on the Towpath Trail, we are moving the start location for this ride! Instead of our usual start at our Peninsula store, we will start at the Station Road Bridge Trailhead (see address above). This is just off of Riverview Road, just south of State Route 82. There is ample parking available, plus restrooms and a water fountain. Since we won't be at the store before the start of the ride, make sure that you and your bike are ready to ride well ahead of time! Dig those bikes out of the garage or basement NOW, pump up the tires to make sure they're holding air, and bring them in to us ASAP if they need any service! We will have a few tire pumps available to borrow at the start of the ride, plus a limited selection of spare inner tubes for last-minute emergencies. If you need a helmet, headlight, or any other items, please stop into one of our stores soon to do your Night Ride shopping!